Because Machine Translation (MT) development requires high-end technologies, SYSTRAN has been at the forefront of linguistics and natural-language processing for decades. In addition to machine translation solutions, SYSTRAN now allows its customers to process, extract and analyze content in over 45 languages. Designed for developers and technology partners, the Kit consists of libraries of language services that can be embedded, for example, in data mining or semantic search solutions. Distributed as a SDK (Software Development Kit), these libraries enable developers to integrate new features such as domain detection, named-entity recognition or language identification to quickly analyse any type of multilingual content. With a low memory footprint, they run on Windows, Linux, Mac OS, iOS and Android. 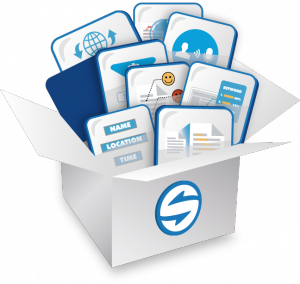 Whatever the needs (eDiscovery and digital forensics, OSINT or COMINT analysis, competitive and marketing intelligence, e-reputation monitoring, sentiment analysis for more customer insight), SYSTRAN’s LDK enables to utilize and analyze both structured and unstructured multilingual content, such as user-generated content, social media, Web content and more. This entry was posted in Announcements, Linguistic Development Kit, Products and tagged Big Data, Categorization, Domain detection, eDiscovery, Intelligence, Named Entity Recognition by Gaelle Bou. Bookmark the permalink.